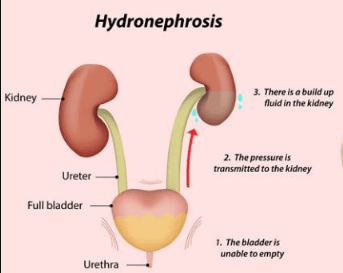 Hydroureteronephrosis is a situation where kidney and ureter swell due to obstruction of urine flow in urinary tract towards the bladder is blocked. The swelling can be unilateral affecting only one kidney and ureter or bilateral affecting two kidneys and ureters. When the swelling occurs only in the ureter, the condition is referred to as Hydroureter while hydronephrosis affects only the kidney. When a load (bood clot, ureteral stone) is trapped inside the ureter can result in blockage. Prostrate carcinoma in men and cervical carcinoma in women narrows ureter opening leading to blockage. External pressure from retroperitoneal fibrosis can slowly compress the ureter. 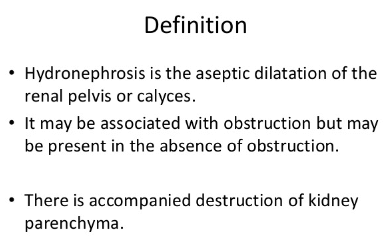 Non-obstructive Hydroureteronephrosis is where the cause of ureter and renal pelvis swelling is as a result of chronic inflammation instead of obstruction. Symptoms of Hydroureteronephrosis depend on whether the blockage occurs spontaneously or gradually. Pregnant women experiences sharp pain next to the hips and ribs. Infants born with Hydroureteronephrosis are also affected while others acquire the condition during childhood. They may suffer from urinary infections, bleeding and reduced urination. While babies may have abdominal pains that make them to cry a lot. 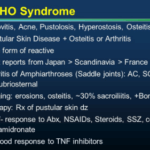 High temperatures that leads to fever. Kidney stones or any condition that block urinary tract. Bladder stones are solid heaps of minerals in the bladder. This occurs when minerals in your concentrated urine forms crystals and thus makes your bladder not to empty urine completely. This condition can be caused by an enlarged prostrate in men which obstructs urine to be emptied completely. Another cause is when your nerves from the brain to the bladder are damaged as a result of injury to spinal cord or any other health condition. They are solid mineral deposits that are formed in your kidney. They prevent flow of urine from the kidney to the bladder. Expectant women experiences increased levels of progesterone and enlarged uterus .This expansion of the uterus compress the urinary tract making the ureter narrow hence preventing flow of urine. Tumors and cancers can exert pressure on the ureter preventing flow of urine in the urinary tract. These tumors include sarcoma and lymphoma. This method uses high frequency sound waves to produce inside images of your kidney. The doctor analyses samples of your blood and urine to find out whether you have an infection or not. This procedure uses X-rays and computerized technology to produce comprehensive inside images of the ureters and kidneys. CT scans are safe although you can experience an allergic reaction to the dye used. It is also known as intravenous pyelography. It is a method that uses X-rays to evaluate issues in your urinary tract. Pregnant women should not go for X-ray tests because unborn child can be exposed to radiations that may cause abnormality in the child. The first step in treating Hydroureteronephrosis is to remove urine from your kidney and ureter through urinary catheterization. This is necessary to help alleviate pain and safeguard kidneys against damage. Your doctor conducts cystolitholapaxy procedure to break down bladder stones into smaller pieces and removes them. Complications from this procedure are rare but there are some risks such as allergic reaction, infections and damage to bladder and internal tissues. A doctor can conduct surgery to remove bladder stones that are difficult to break down. Small kidney stones are treated through medication such as painkillers and anti-emetics and are passed through urine. Painkillers relief pain while anti-emetics treat symptoms of nausea and vomiting. Large kidney stones cannot be passed through urine. The following treatments are conducted to remove them. Ureteroscopy to treat kidney stones stuck in the ureter. Percutaneous nephrolithotomy is used as alternative procedure especially when a person treated is obese. Surgery is rarely used unless you have an abnormal anatomy. You are likely to develop complications basing on the kind of treatment, size, and the location of the kidney stone. Your doctor should explain the complications to you before the treatment. 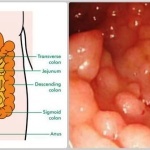 Such complications include blood and urinary tract infections, bleeding, pain and urine blockage. Your doctor conducts a sample of urine tests and prescribes antibiotics in case you have Urinal tract infections. The length of taking antibiotics depends on the nature of the symptoms you are experiencing. You can minimize Hydroureteronephrosis by changing your diet. For instance, patients suffering from urolithiasis (the presence of stone of various compositions in the urinary tract) can increase intake of fluids to help dilute concentrated urine. You can also reduce consumption of food rich in uric acid such as poultry, fish and meat.